Central School of Ballet’s renowned graduate performing company Ballet Central brings its annual tour to The Civic Theatre, Chelmsford on Friday 3rd May at 7.45 pm. Under the artistic direction of Christopher Marney, Ballet Central’s diverse range of dance and theatre will perform in 20 venues across England over a five month period (full tour schedule at the end of the release) and will go on to perform in Tokyo, Japan. In addition to the performance on Friday evening, tickets are also available to see behind the scenes as Ballet Central prepare for their performance. This is a rare insight into the world of professional dance – a chance to see an open class on stage in The Civic Theatre as dancers prepare mentally and physically, perfecting their technique. 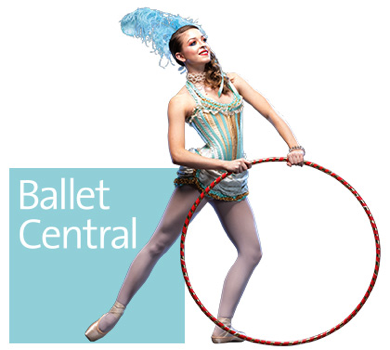 Taking place from 12.15 pm – 1.00 pm on Friday 3rd May, tickets for the Ballet Central Open Class are priced at just £6 (£4 concessions). This season’s repertoire delivers an exciting performance of theatricality, technical excellence and drama choreographed by top dance industry influencers, with stunning costumes enhanced by powerful music. The repertoire includes Christopher Marney’s Carousel Dances, inspired by the 1945 musical Carousel by Rodgers and Hammerstein, a unique version of the Dying Swan Solo created by Calvin Richardson, and the Company is delighted to present an extract from Frederick Ashton’s acclaimed Valses Nobles et Sentimentales performed to Maurice Ravel’s suite of waltzes. Following the wonderful response to Kenneth MacMillan’s piece in the 2018 tour, Ballet Central is honoured to present another excerpt from MacMillan’s works,House of Birds, based on the Grimm Brothers’ macabre fairy tale, Jorinda and Joringel. Ballet Central also presents Jasmin Vardimon’s (in between), a physical contemporary work first created with the National Youth Dance Company in 2013. And for the first time, Ballet Central is collaborating withThiago Soares, principal dancer with the Royal Ballet, who has created a new work with Ballet Central’s young dancers which will be premiered in London at a series of performances at the Bloomsbury Theatre in July. Ballet Central has already performed 15 sold-out shows of The Nutcracker at the ADC Theatre in Cambridge and at the British Museum in December. Adding an international date to the 2019 tour in Tokyo, Japan demonstrates the increasing popularity of the Company’s theatrical dance performances. Previous articleHit indie band The Family Dog are heading to Chelmsford!